Forbes: Is It Time To Sell Your Apartment Investment? Ask yourself the following questions to determine the status of your property. Whenever you feel you are in two or more of these buckets, it is more than likely a good time to sell. If you find yourself in all four buckets, sell the property. Alternative use of capital (stock market, etc. ), interest rate changes, job growth, GDP, fair housing changes — all these are examples of macroeconomic trends that could impact your desire to keep your multifamily investment. The easiest example of a macroeconomic decision tree is interest rates. Have you factored rising interest rates into your investment hold? If you have a term loan, when is it due and what impact will interest rates have on your refinance? What does your return on capital look like on a refinance versus obtaining acquisition financing for an alternate property — and does it make sense to move the equity from your current investment into a new one by selling? Changes often occur in the city, county and state where your investment is. Is the market improving? Are new jobs coming in? Is there a growing tech and startup scene? How are renewals treating you? Seasonality is always a factor, but are you experiencing more or less vacancy than last year and the year before? Is the city imposing new restrictions on multifamily or affordable housing, which change the nature of your investment? 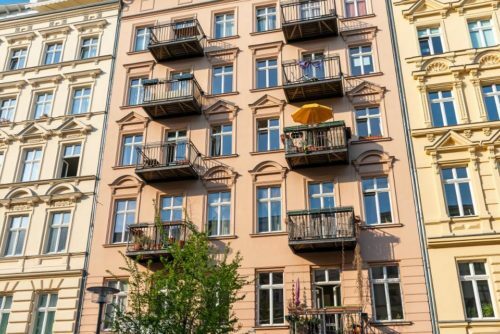 What is the long-term fiscal outlook for the state in which your apartment property is located — and should you consider an alternative in another product type of neighboring state? How old are your roof, boiler, kitchens, baths, etc.? What does your building need, expense wise? Beyond just running your building, what are the capital expenditures you have realized versus those still remaining? How close are you to having obsolete structures and systems? What capital would be needed to bring these items current — and does it make sense to invest that additional capital in the building or release the equity from the investment through a sale and redeploy it in another property? What does your investment look like? What is your total capital in it the apartment? Because of depreciation or appreciation, what portion of the value of your property is equity? How is that equity working for you? Does it make sense to keep the equity here? After a careful analysis, many times the most sensible thing to do is sell the property and purchase a replacement on a different basis. There are so many things you have control over, but there are also things you don’t have control over. Death, divorce, retirement, career changes, relocation and so many more events can happen in your personal life that may make it the right time to sell. I weigh the personal bucket the highest of all the other indicators. Too often owners make the decision to sell too complicated. Is it time to sell? Take a step back and look at your investment from the perspective of these four buckets and the decision becomes clearer.